Our services are designed with one aim: to bring people together to help them achieve new heights. We help companies grow internationally and inspire locations to innovate, collaborate and grow. We advise promotional agencies, development organisations, local government or national policy teams to create the best conditions for international business. We work with Trade & Investment teams to help them design strategies that foster local growth, support internationalisation of local companies and secure stakeholder backing. We provide recruitment services for International Trade teams. We help with defining job specifications, manage the recruitment process and find the right candidates for short term assignments or permanent roles. We work with a network of freelancers and consultants with plenty of experience in the industry who are ready to hit the ground running. "Cities & Collaboration provide us with first class talent to support our existing teams here at the Economic and Commercial Office of the Spanish Embassy in London. Our experience working with them has been very positive, especially their tenacity, flexibility and efficiency in finding solutions to complex issues." "Joining Cities & Collaboration as a consultant for the contract with the Spanish Embassy has been a rewarding and varied experience. I would recommend it to any professional interested in cross-cultural communication, promoting international trade and project management. C&Co's on-going support and positive attitude has been invaluable in making this a success." We focus on how to increase attractiveness, outreach and competitiveness for a wide variety of locations. We see our role as to help countries, cities & regions to live up to their potential and develop innovative, robust and effective promotion programmes. We do so by unpicking key underlying trends, understanding local drivers and convening local stakeholder needs. With this in hand we help locations craft innovative promotions strategies or increase effectiveness of existing programmes. These are programmes sponsored by government, agencies, chambers of commerce or sector associations to help their companies grow to new markets. We design & deliver the full programme in collaboration with local partners and sector experts. Do you know who helps scaleups and foreign investors grow? Do you know what type of services they provide Do you want to know who is who in your local innovation scene? If your answer is not and you want to bring them all together into one single platform and offer a one-stop for business support services, then speak to us. We developed an online tool to do exactly that. We also go the extra length of mapping your local ecosystem, engaging with them, bringing them online and delivering a turn-key solution. We work with the wide array of organisations that help companies grow and innovate: from governments to local authorities, promotional agencies or NGOs who support business and / or signpost services . Many cities claim to have the most dynamic, innovative and creative ecosystem on earth. Only a few can live up to that statement. Supporting ecosystems is both a science and an art. We have worked closely with many of London players, from government to corporates, start-ups to incubators, university to think tanks, NGOs to artists. We know how to grow local clusters. We have also shared this experience with other locations worldwide and exchanged best practices of what it takes to create a vibrant community of doers and makers who raise the flag for the location, create jobs and build the local brand. Unleash the power of talent. We work with 2 of the most prestigious global social challenges organisers and have more than 8 years of experience in designing, delivering and leveraging the power of competitions to ignite economic growth. We offer turn-key solutions to help you organise a local competitions and crowd-source solutions to very specific problems you have in your region. - Inject a sense of purpose and collective responsibility at local level. Global FDI stock reached $26.7 trillion in 2016, with more than 3,000 organisations all over the world dedicated to attracting foreign companies to establish a presence in their market. Facilitating that investment is a dynamic and competitive industry, with international organisations supporting capacity building or peer-to-peer leaning and many think tanks, academia and consultants publishing papers, books and courses about the topic. This is where research stops as there is very little support to help locations nurture or groom those investors and design long terms strategies to help them root locally and become champions of local growth. We are on a mission to change this to equip teams all over the world to make the most of the opportunities offered by long term foreign direct investment and business growth. Trade-not-Aid is a response to the frustration after decades of financial support by international organisation, donors, governments, charities and NGOs to developing economies. Despite significant flows of capital, those aid efforts have simply not created the change they hoped for. Trade is now seen as a better alternative. By supporting job creation,entrepreneurship, exports and business activities, the hope is that local opportunities will help raise people out of poverty. Trade-not-aid strategy are being discussed by many developing countries and there is a growing interest on how to connect trade& investment with aid efforts. It seeks to rewrite the relationship between Western donors and South- South business, as well as move away from charitable giving to capacity building and empowerment through business. Trade-Not-Aid seeks to combine two disparate knowledge sets. Trade & Investment on one side and Aid & Philanpropy on the other side. Both sectors have different drivers, skill sets and there are few experts who understand both spaces. We have a convened a world-class Trade-Not-Aid team and are ready to help transition your strategies from Trade towards Aid and vice versa. Only 1 in 5 companies that trade crossborder are female-led. Slowly but surely the difficulties that women face in the workplace, the marketplace and the investorplace are being acknowledged. According to a McKinsey report those challenge have a number: US$ 12 trillion. This is how much advancing women’s equality could add to the global economy. Women have huge challenge when it comes to growing their companies. Their access to Trade finance is limited. There are limited networks particularly focused with trade-border capacity building. We work with a panel of leading female advocates and combine our Trade & Investment expertise to create unique programmes geared to supporting Women in Trade. The International Council for Economic Development named 2017 the year of the "noble" profession. There are many talented professionals working quietly to create local impact all over the world. Every one of them deserves our recognition, as their jobs is not easy, has many twist & turns, but eventually will changes the life of many. We support the industry by curating content and connecting the dots behind the scenes. As we grow, we built an audience of engaged economic developers who are actively involved in local job creation, placemaking and designing strategies to grow and improve their locations, which can range from cities to countries, town or regions. We also work with economic developers, entrepreneurs who are doing their bit to make theirs a better place. We can create great opportunities for companies who wish to do business with these group. We participate in a number of high-level roundtables and forums seeking to embed the United Nation’s Social Development Goals (SGSs) into Trade & Investment. Leaving no one behind is not a small task; it requires a concerted and collaborative effort to do so. The good news is that when ambition meets willingness to do this meets resources, there is a chance that we can actually do this. We look at topics such as Investment Facilitation for Sustainability, Practical Approaches to use Trade as a leaver for Change and what green Trade & Investment looks in practice. 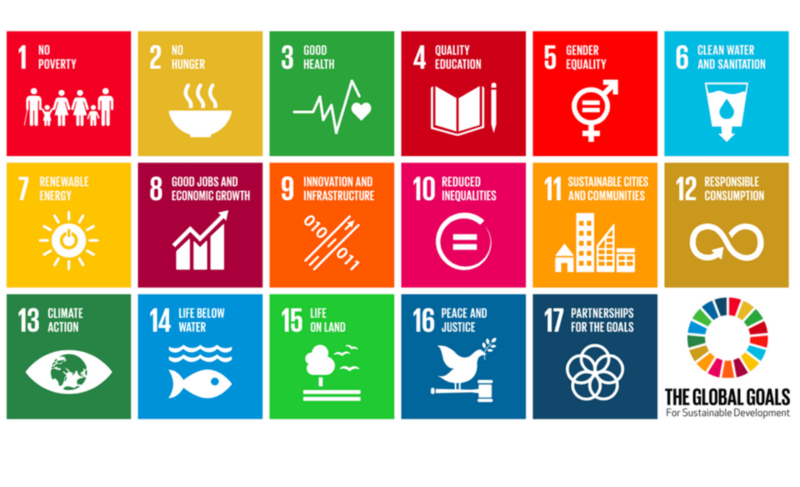 We advise organisations on how to embed the SDGs in Trade & Investment and create partnerships that support them.